Part Two: Thanksgiving Every Day. Last week I had a bit of a Christmas rant (read) and declared I would celebrate Thanksgiving until New Years. I feel better already. I know I run the danger of offending a wide range of religious and spiritual opinion with a phrase like Barn/Church. I gave this notion some prayerful meditation- (thought about it while I was mucking) and folks have been spiritual since before churches had walls- physical location shouldn’t matter. And I never see unconditional love demonstrated by people nearly as well as dogs do it, so including animals seems smart. Barn/Church is a place more like Noah’s ark than Notre Dame. Barn/Church, Part Two: The Ride. Last week the Barn/Church service began with the act of grooming. Continuing the analogy- the sermon comes next and in the barn, that would be the ride. I notice it is a lot easier to love horses than to ride them! 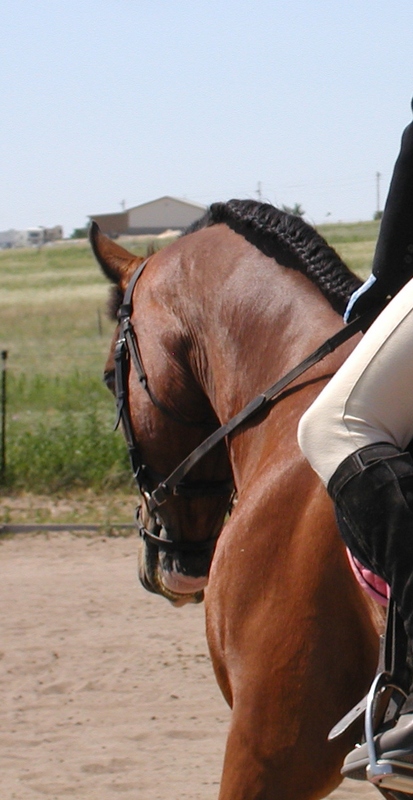 Riding is deceptive in its simplicity; we know that feeling of being lifted and held in a sacred place. We know the view between the ears, the lightness of being. A glimpse of this corner of heaven leaves a rider hungry for more and that is where the trouble begins. There is always a choice about how we approach riding. Respect and commitment mixed with patience and gratitude turn out a great horse. And that horse reflects who we are as riders, and ultimately, who we are as humans. My best teachers are horses. Maybe Barn/Church is just real life- disguised to attract horse-crazy girls. That works and thank you VERY much. I love that proverb! This makes me really itch to ride – hopefully I will be soon. But of course, I think driving donkeys also needs respect, commitment, patience and gratitude, thank you for reminding us.